With her 1950s retro lenses and a smile that could light up any room, Jane Jacobs was a charming woman with a wide range of talents. Her lifelong philosophy of working hard and saving money, allowed her to enjoy many of life’s richest blessings. 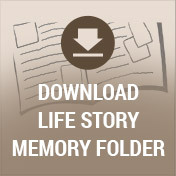 Jane lived in the moment and cherished each and every one of her family members. She put every bit of herself into ensuring that her family had the best of everything. Whether it was her good cooking over the years or the time she spent with them, her family will always treasure and lovingly remember the wonderful collection of memories she leaves behind. World War I was over and most Americans were eager for peace and security; but, 1919 would prove to be anything but. Race riots rocked the nation, hundreds of workers went on strike across the country, political unrest ran rampant across Europe and North America, and the Flu Pandemic continued with a brutal wave in the spring. Yet, 1919 also brought jazz to Chicago, the first dial rotary telephone to Norfolk, and the world famous Hotel Pennsylvania to Manhattan. On October 7, Nelson and Annie Bellant welcomed home their newborn daughter, Jane. She was the sixteenth child out of twenty-one. With two of her siblings passing away as infants, there was a total of nineteen children during her growing years. 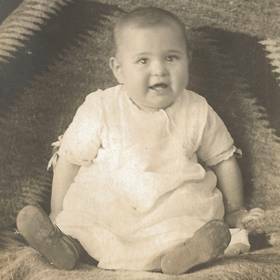 Her siblings included Joseph and Josephine (twins), Alice and Gladys (twins), Norabelle, Bill, Vern, Norman, Chester, Wilson, Henry, James, Clarence, Raymond, Rachel and Hazel (twins), Jesse, and Edsel. 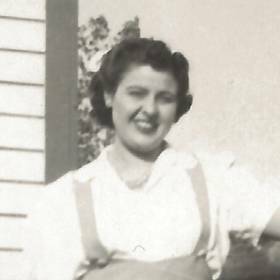 Jane was born to a hardworking set of parents; a commercial fisherman and homemaker. Growing up on the beautiful northern shore of Lake Michigan in the small fishing community of Epoufette, it was no surprise they lived on a diet of fresh fish and potatoes! As a young child, she and her siblings loved to play outdoors. Her childhood duties of bringing in firewood for the family’s cook stove to bake bread each morning as well as fetching water from the creek and carrying it back home, instilled in her a strong work ethic that remained throughout her lifetime. Typical of the times, Jane attended a one-room schoolhouse and completed her education through the eighth grade. She was a proud member of the Sault Ste. Marie Chippewa Tribe which gave her many of the skills she shared during her youth. 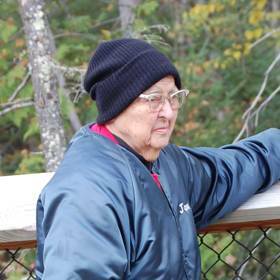 As a teen, she worked in a logging camp in Michigan’s Upper Peninsula caring for young children while their parents were hard at work running the camp. 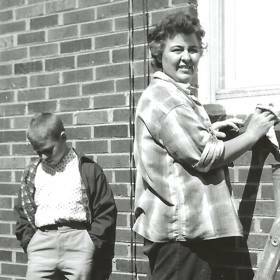 Later, she traveled to Detroit to stay with her older sisters and worked cleaning homes in some of Detroit’s wealthiest neighborhoods. Never one to turn down an opportunity, Jane took to working in the factories during WWII as a welder. She helped to assemble military planes used in the war effort. When the war was over and the men returned to their jobs, Jane found herself out of work. Yet, due to her extraordinary reputation and strong skill set, she was offered a permanent position with General Motors headquarters in the engineering department on West Grand Boulevard! Her main role there was working with blueprint filing and cataloging. At the recommendation of her boss, as a young woman, she took an adventurous cross-country train ride to the beautiful Yellowstone National Park which she fondly remembered throughout her lifetime! On her free weekends from work, she and her girlfriends would take to the dancing halls and dance the night away! She especially favored the Greystone and the Grande Ballroom. It was no surprise that Jane would meet the man of her dreams one night in a dance hall! After turning down a few other men who had asked her to dance one evening, when Jack Jacobs stepped across the dance floor to ask, she agreed without hesitation! The two of them joined in marriage on June 14, 1952 in Detroit, Michigan. She and Jack had two wonderful sons born only fourteen months apart; Mark and John. As a young mother she was well known for always providing a meal on the table when they sat down to dinner. There wasn’t any job around the house that Jane didn’t manage to complete. With a knack for fixing just about anything mechanical in the house or the yard, the boys grew accustomed to coming home from school at times to find that she had disassembled the washing machine! The family also had many wonderful memories of traveling back to her childhood home in Michigan’s beautiful Upper Peninsula each and every summer for many years where she was devoted to remaining close with her large family.  Widowed in 1977, Jane drew on her many special interests to keep loneliness at bay. A devout Catholic, Jane kept active in her church membership and cherished her time on the altar society at St. Gemma’s Parish on Detroit’s northwest side. She also drew on her many long lasting friendships she had made with members of her TOPS group that met each and every Tuesday night for many years. Above all else, Jane loved to dance! A hobby that brought her much joy, she was well known for attending the summer festivals and spent many Saturday nights at the Moose Lodge. She and her special friend, Mitzi, could also be spotted at Desoto’s on Telegraph where they were admired by younger generations of dancers for their moves on the dance floor. Young at heart, her interests didn’t stop with dancing, she was also an avid Tigers fan whose favorite player was Schoolboy Rowe, a country music lover; especially Eddie Arnold, and an animal documentary junkie! Jane will always be remembered for the many ways she touched so many people during her lifetime and her strong model of perseverance and independence will be passed on for many generations to come. 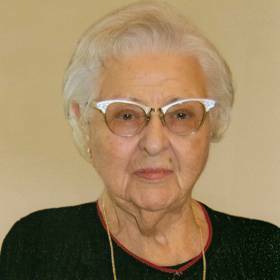 Jane B. Jacobs, age 97, passed away March 23, peacefully surrounded by her family. She is preceded in death by her husband, John L, grandsons; John L. and Mark N., her parents and 18 siblings. She was the loving mother of Mark A. and John N. (Julie), beloved grandmother of Jason, Meghan and Joshua. Family will receive friends Sunday 2-9 pm with a 7pm rosary at Neely-Turowski Funeral Home, 30200 5 Mile Rd. (Between Middlebelt & Merriman). A Mass will be held Monday at 10:00 am at Our Lady of Sorrows Catholic Church 23815 Power Rd in Farmington. Instate at 9:30 am Interment Holy Sepulchre Cemetery.